House For Sale in Nelson for Asking Price £600,000. Land with detailed planning permission for four detached 5 bedroom homes with double garage adjacent to greenbelt countryside. Entwiistle Green are excited to present for sale this building plot located at the head of a cul-de-sac on a highly prestigious development in a sought after area if Higherford with outline planning permission for four 5/6 bedroom detached family homes. The Orchard at Higherford occupies a prime position neighbouring open countryside in the picturesque village of Barrowford, with panoramic views of the valley and Pendle Hill. A select development of architect designed family homes. ALL PLANS AND DESIGNS ARE AVAILABLE ON REQUEST. 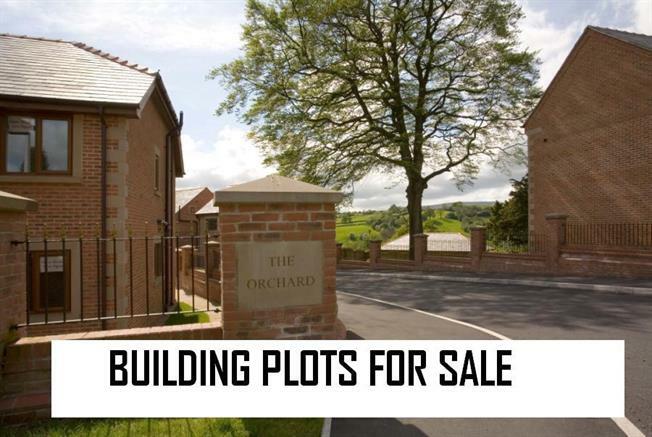 Sizable building plot with planning permission granted for 5/6 bedroom executive detached property.